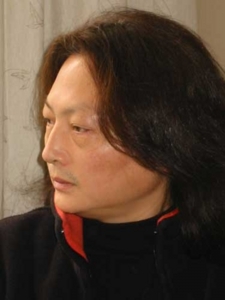 YANG XIAOZHONG, is the professor of Sichuan Conservatory of Music and the dean of Composition Department. He also holds the position of the head of composition teaching and research section. Prof. Yang is the very first person who has put forward the theory of “composing technique of non-linear regression” and adopted it into his composition works. With his paper of “The feasibility study of composing technique of non-linear regression” and practices, Prof. Yang has formed his own remarkable music language and composing style. In his academic career until now, Prof. Yang has won “the Best Works Award” of the Central Propaganda Department; “Splendour (Huabiao) Award” of the Ministry of Culture; “Golden Bell Award” of Chinese Music Association and “Sichuan Provincial Teaching Achievement Award” of People’s Government of Sichuan Province. He has been pointed to be the Music Director in many national cultural events, and been rewarded by the Ministry of Education of China and the State administration of Radio Film and Television. Prof. Yang and his music is recognised internationally as well. He has been invited to the international music festivals held by ISCM and ACL. His music has been performed in dozens of countries and regions in Europe, America, Asia and Oceania, and has also been published worldwide. Formed in 1997, Ensemble NOMAD has been highly acclaimed both nationally and internationally as one of the leading ensembles in the world specializing in the 20th-century and contemporary music. Led by Norio Sato (guitarist/conductor), Ensemble NOMAD has brought to life many compositions that are rarely performed but are sure to become 20th- and 21st -century classics. True to its name, Ensemble NOMAD is infinitely flexible and spontaneous in programming the concerts, and the regular concerts, now approaching 50, at Tokyo Opera City have become the "events" that cannot be missed in the contemporary music scene in Japan. For its unique programming and high-quality performance, Ensemble NOMAD was awarded the “KEIZO SAJI Prize” in 2003, and “The Vienna Philharmonic and Suntory Music Aid Award” in 2014 from the Suntory Cultural Foundation. Ensemble NOMAD’s fields of activity is growing rapidly overseas, starting with the invitation to Amsterdam in autumn 2000 to perform at Gaudeamus Week. Since, the ensemble has made appearances in music festivals in Venezuela, Mexico, France, Belgium, Britain, Korea, China, the Netherlands and Estonia, and future invitations include Finland and Switzerland. In recent years, the ensemble has launched its community engagement programs, in which the ensemble visits schools, nurseries, hospitals and care homes to share the joy of music with those who have limited access to concerts and concert venues. 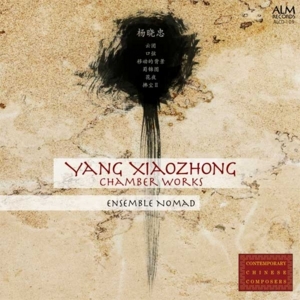 Ensemble NOMAD’s performance can be heard on CDs. 9 CDs have been released of works by leading Japanese composers, Jo Kondo, Hidemi Ishida, Norio Fukushi and Shinichiro Ikebe. “Bestiario”, a selection of chamber compositions by a Mexican composer Hebert Vazquez was released internationally 2011, and the latest CD album “Meguru” was released in May 2014.